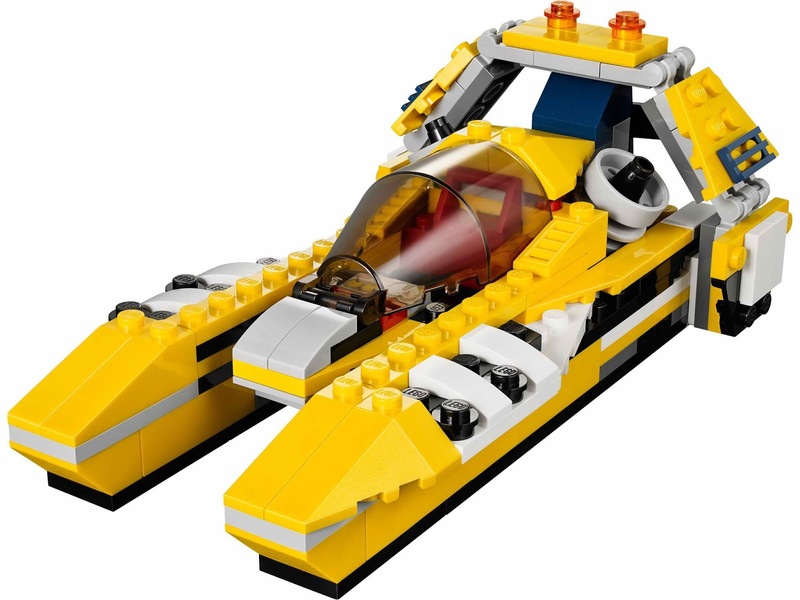 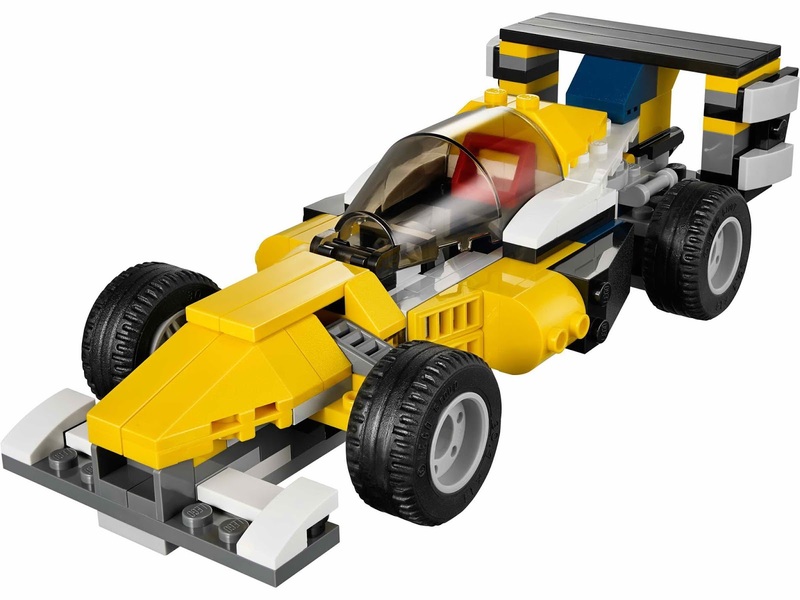 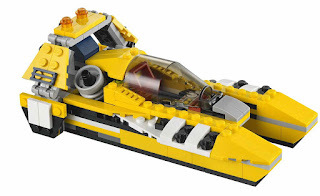 can be built into a helicopter, a race car and a speedboat. 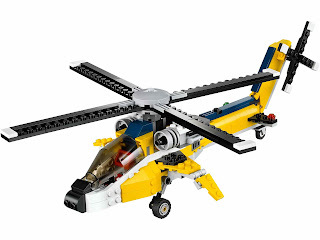 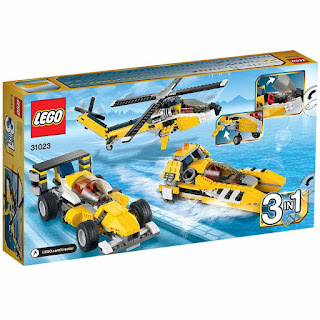 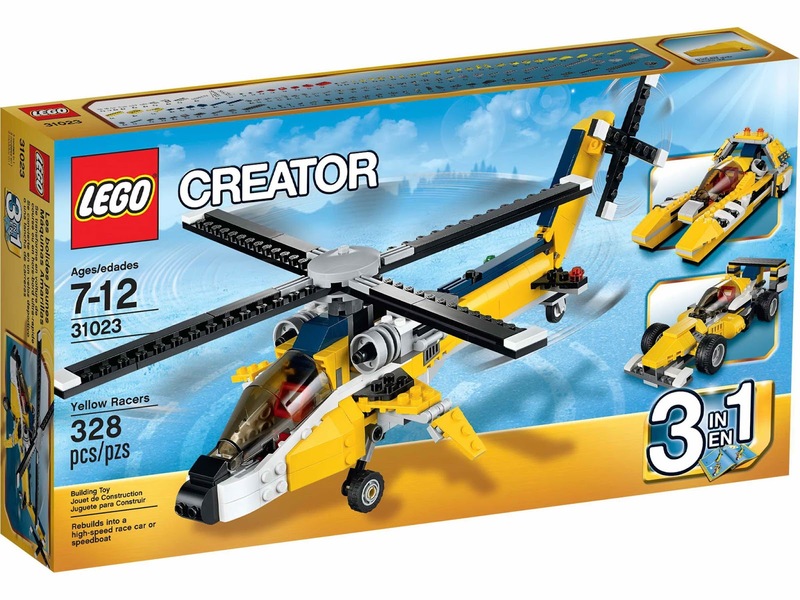 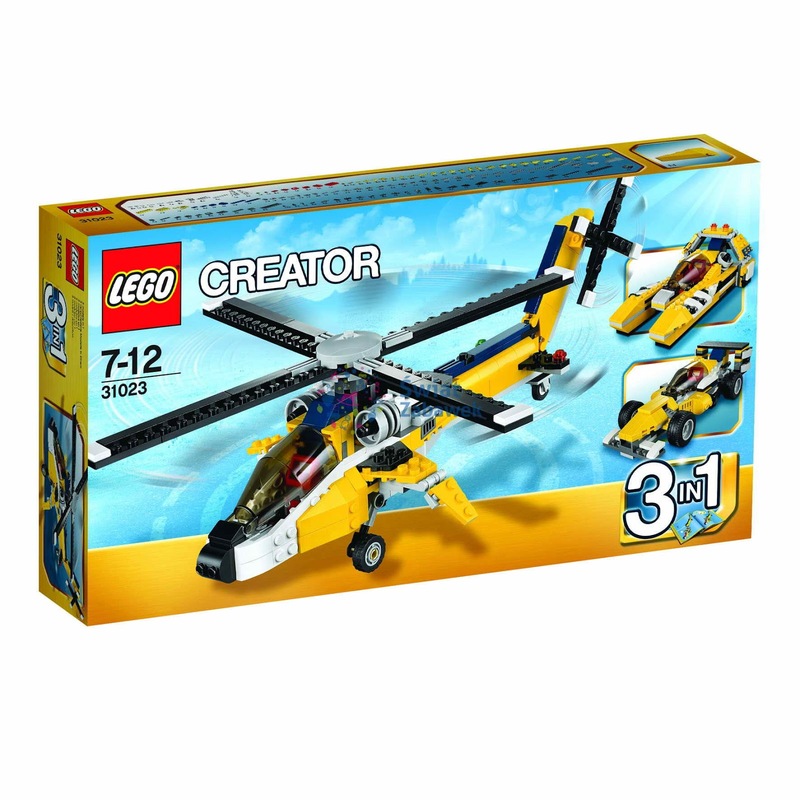 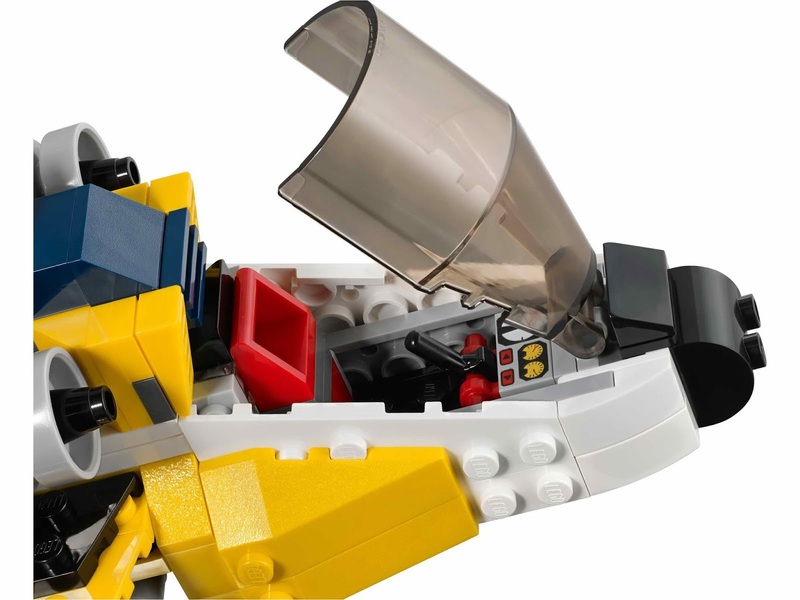 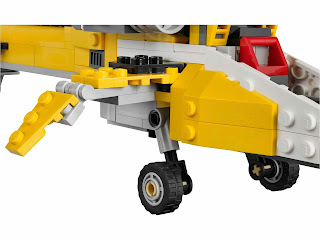 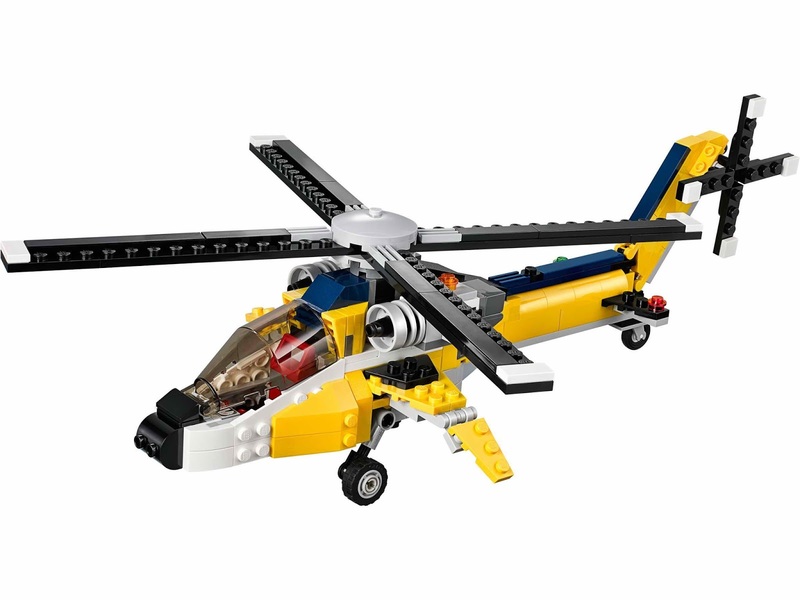 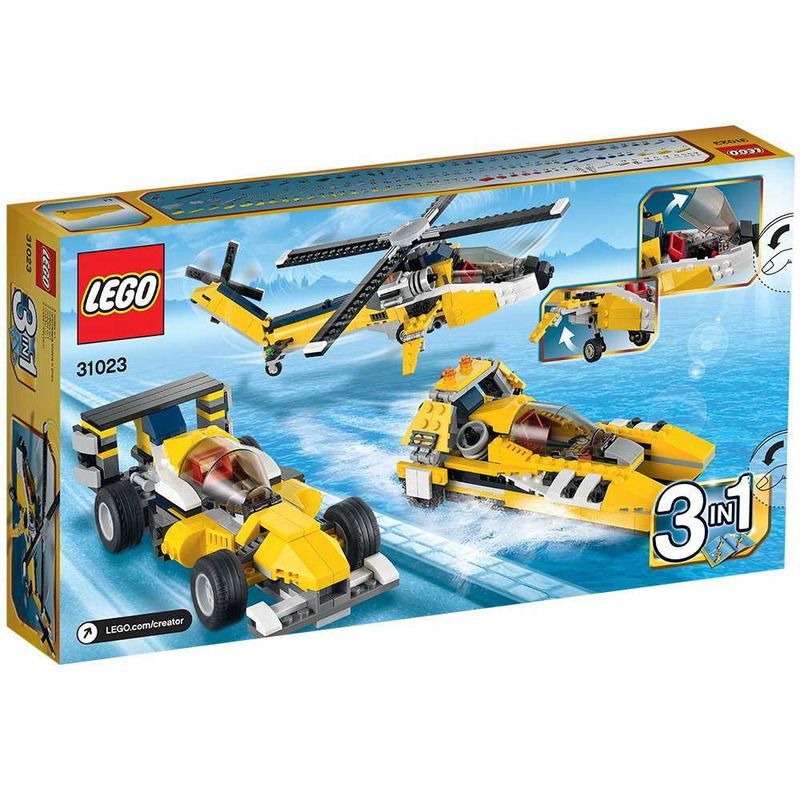 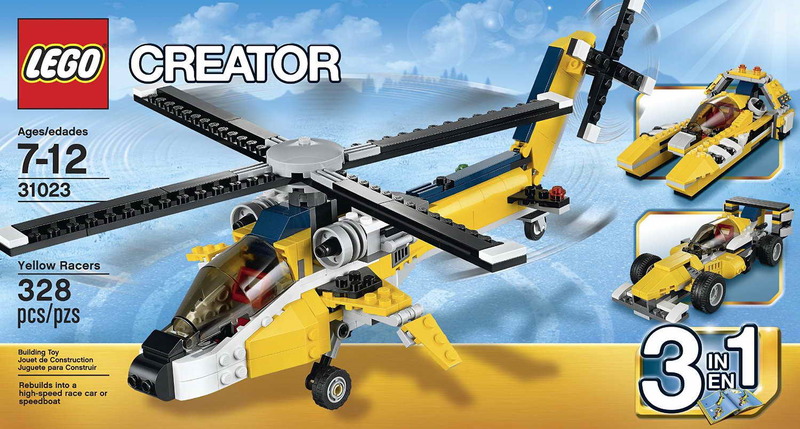 the helicopter has a big main rotor, a spinnable rear rotor, big detailed engines, a retractable front landing gear and a multidirectional tail wheel. 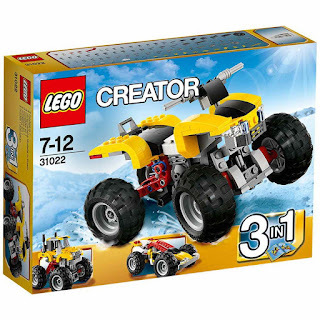 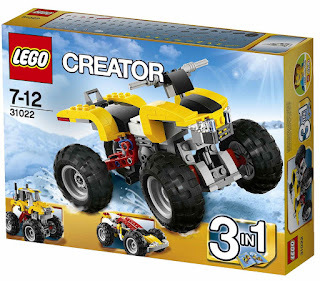 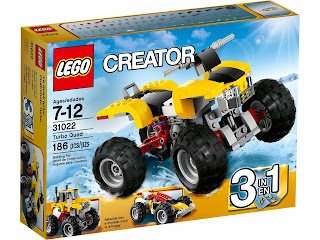 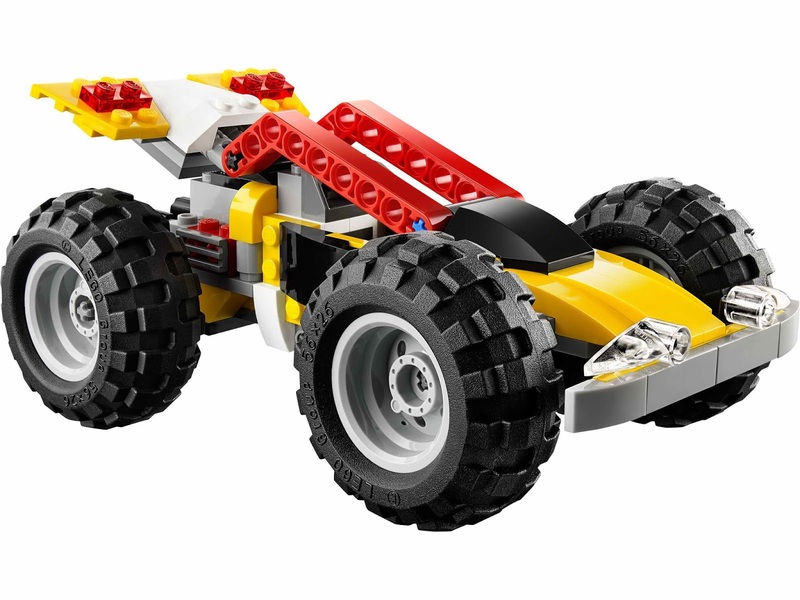 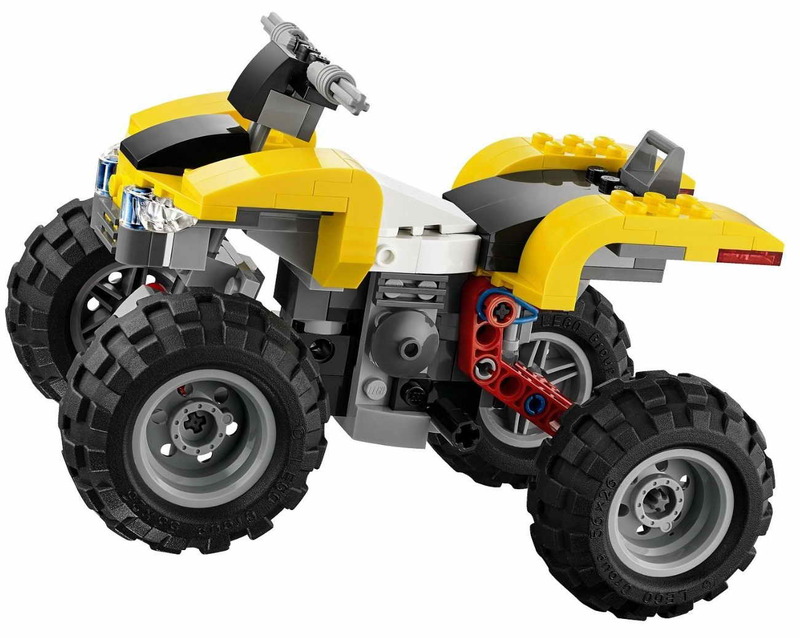 can be built into a turbo quad, a monster truck and a buggy. 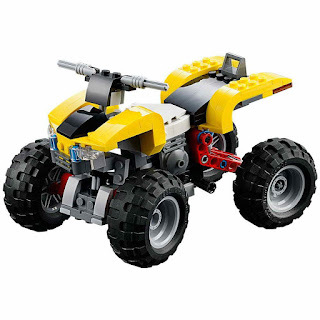 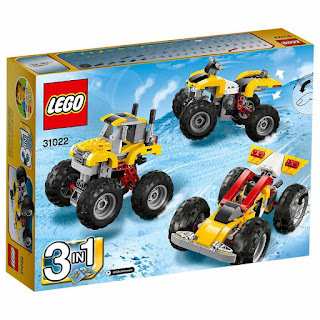 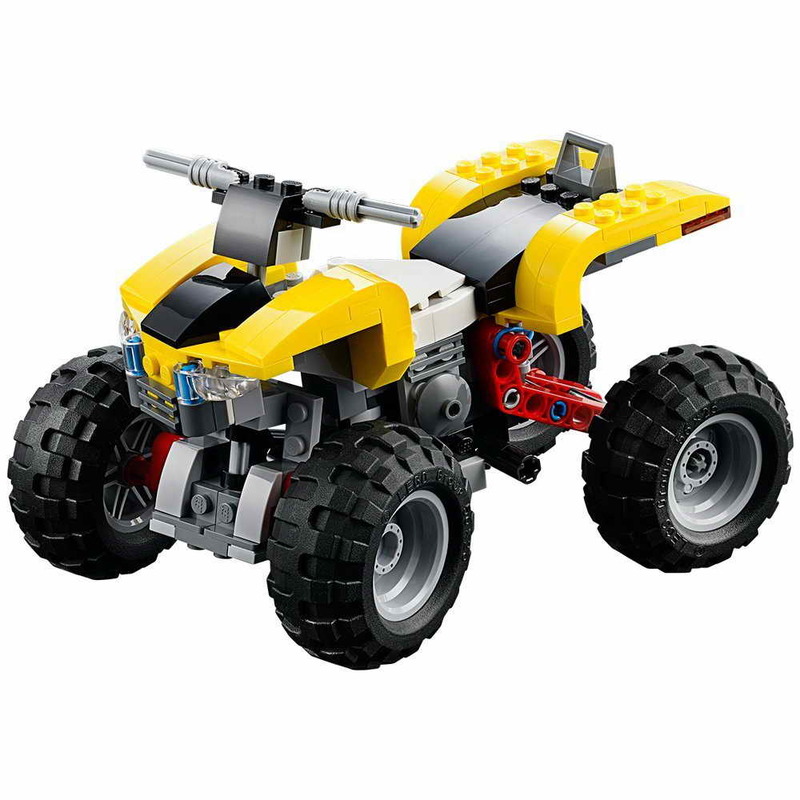 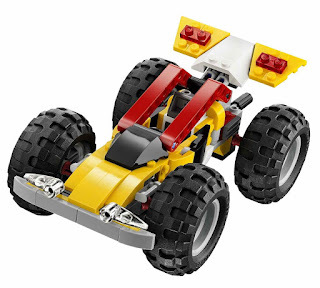 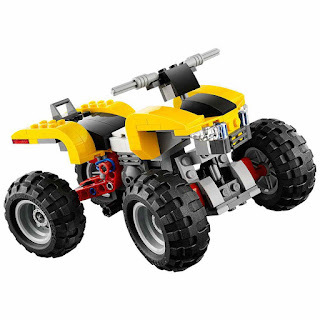 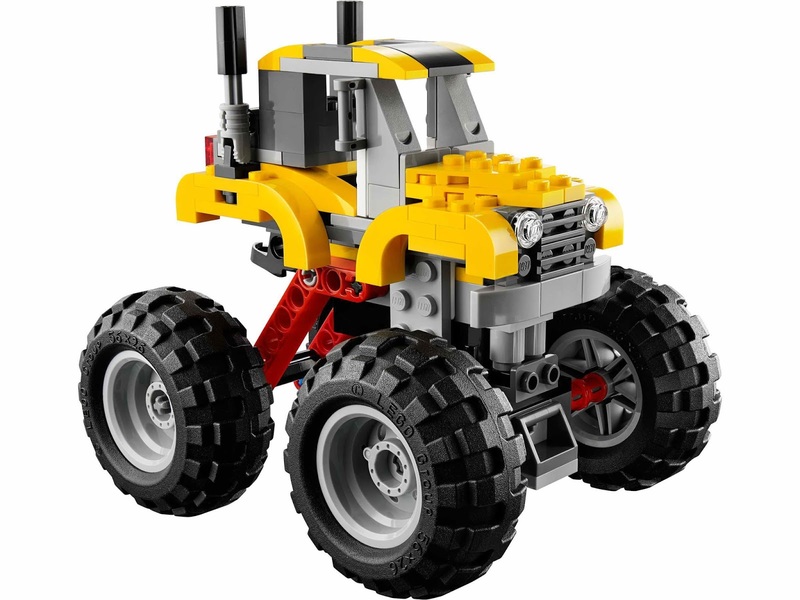 the quad has a workable steering, a rear suspension, big tires, detailed engine and headlights.